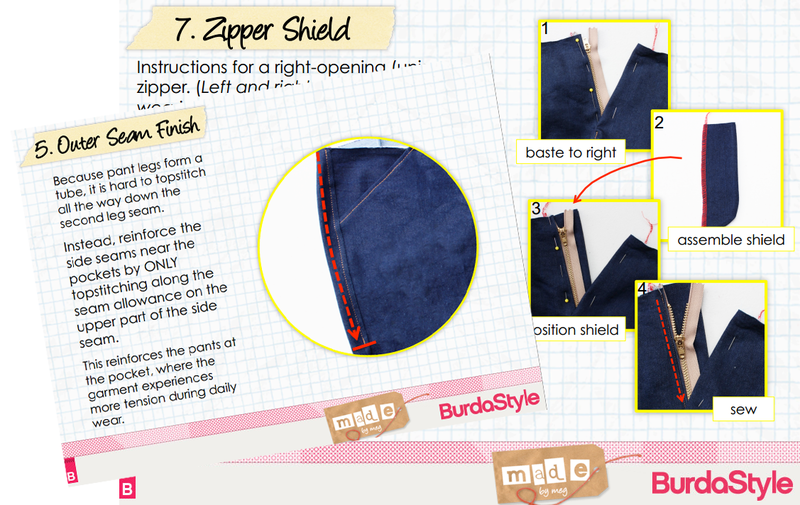 When I discovered the online world of sewing, BurdaStyle was the first place I landed. On my first visit, I remember seeing pictures of a red coat that I thought was too good to be true (was it LizaJane's?) and getting to know sewists like Gertie for the first time. Over the years, it has become a place of learning and sharing, and more recently has grown into a US magazine and a place for online classes. For this reason, I am thrilled to announce that I am working with BurdaStyle to offer you a live webinar! 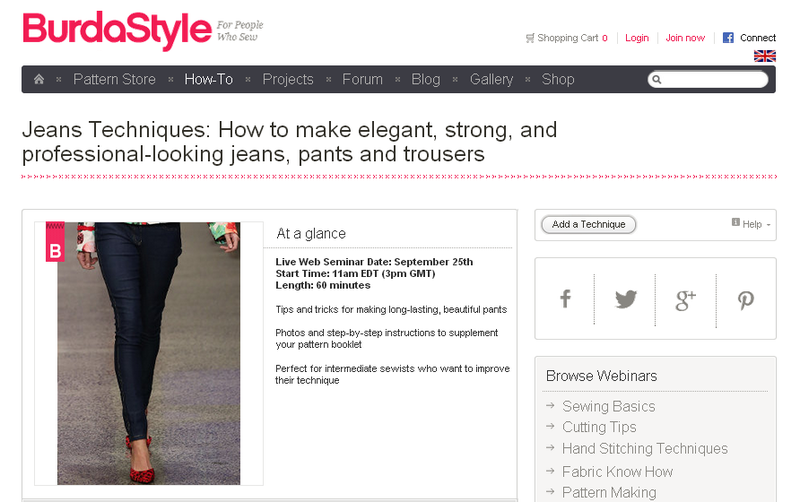 On September 25 at 11am EST, you will be able to join me for Jeans Techniques: How to make elegant, strong, and professional-looking jeans, pants, and trousers. This is a session I've been wanting to share for a long time, and I am so excited to be able to do it in this way! If you're interested, you can read more about the class at BurdaStyle. I hope you'll join me! Hey, cool! That's me! I actually pulled my red coat out the other day. I wore it a lot when I first made it but I have since sort of forgotten about it. There are things that I would definitely do differently if I made it again, but it was such a good learning experience. I get Burdastyle emails and I was checking out some of their videos the other day. Congrats on the teaching gig! Hi Meg. I got an email announcing this class and that got me to know your blog. Awww thank you - you just made my day! See you on the 25th!